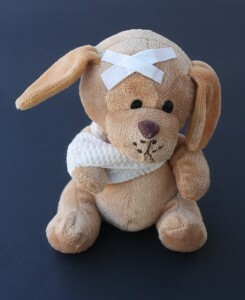 Are your children covered for school injuries? Now that the summer is over and children are heading back to school around the world, it might be a good idea to dust off your insurance policy and check that your family is covered for any injuries your child might obtain at school. Although teachers and supervisors are present, children have an uncanny ability to get in all sorts of trouble which could result in injury. As a parent you’ll be aware what kids can be like, so don’t let minor injuries – such as fractures or broken limbs – take you by surprise resulting in large expenditure on x-rays, medication, or doctor visits for check ups. Parents never really expect their children to be the one to get injured at school, but if anything, I am living proof that insurance for minor accidents in crucial. I was 14 and living abroad with my parents and sisters when I broke my toes during a school football match. X-rays, cast, crutches, emergency room fees, and checkups were all included in our insurance. My parents had nothing to worry about except my well being, of course. When I was three living back in my home country, an expat child from the United States thought my cheeks looked delicious enough to be violently bitten. Thankfully, his family’s health insurance covered injuries made to third parties, which covered my emergency room visit (although emotional scars cannot be healed through insurance). While these may seem unusual, they are possible. I also saw a child throw a rock while playing which hit another kid in the head resulting in stitches. A girl from my school was playing in the playground when she found a rusty nail stuck to her hand needing tetanus shots and plenty of doctor visits. So you never know, children are unpredictable and the best way to care for their health is by not having to stop buying their favourite foods in order to pay medical bills! Some insurance companies allow kids to be on their parents’ healthcare plan until they reach the age of 26, so if your “children” are college students – who can also get injured easily – make sure you check whether they require separate insurance or not.